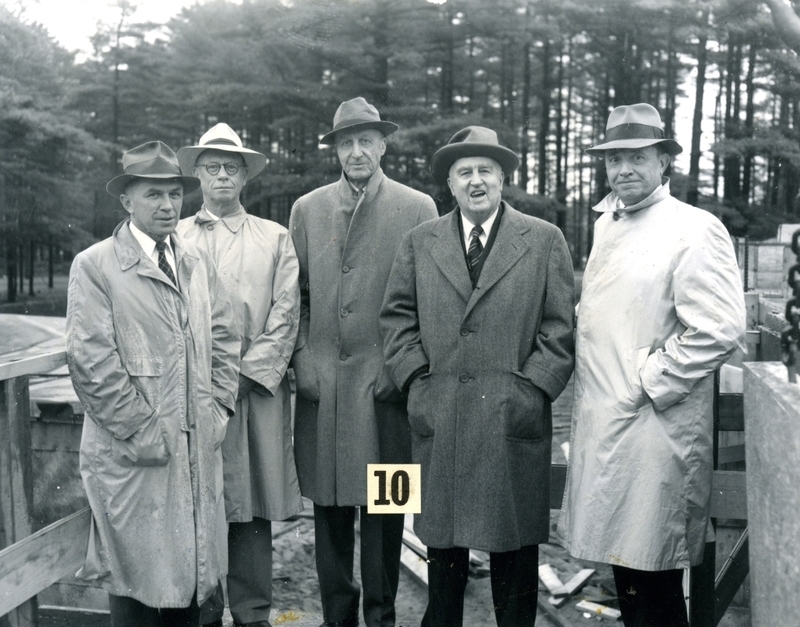 Informal group portrait at the laying of the Chemistry Hall cornerstone. President K.C.M. Sills, Earle Thompson '14, James K. Smith, Professor Samuel Kammerling, Charles Cary '10.